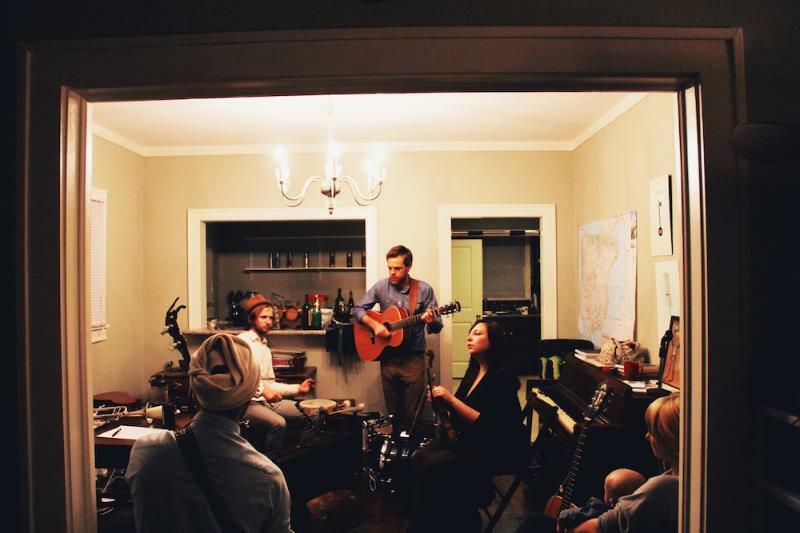 Formed in a living room in 2008, Fox and the Bird is the folk-pop brainchild of Dallas-ites Dan Bowman, Jacob Metcalf and Paul Grass. The choral collective saw it's start at the local Annex House as they crowded into corners with banjos, accordions, ukuleles and fiddles. Built on the songwriting and musicianship of a rotating cast, the band sings of hard times and high hopes, often inviting the audience to join in the mayhem. Fox & The Bird's latest album, Darkest Hours, is a sorrowfully appropriate title for an unapologetically bare-bones, brutally honest folk album. From lyrics chronicling the confusion of lost love in “Ashes” and “Bend” to commentary on the darkly violent tendencies seen in human nature as presented in “Habit” and “Valley,” the upbeat album shares anthems on hardship, poverty, death, loss… those moments in life when the darkness seems most impenetrable. The band was recognized as the Best Folk Act in DFW and has had the pleasure of playing with national acts like Edie Brickell, Langhorne Slim, Dawes, Deer Tick, Phosphorescent, Low Anthem, DeVotchKa, Kopecky Family Band, Run River North and the Carolina Chocolate Drops. Paste, American Songwriter and USA Today have had kind words to say about the bands upbeat and honest songs.